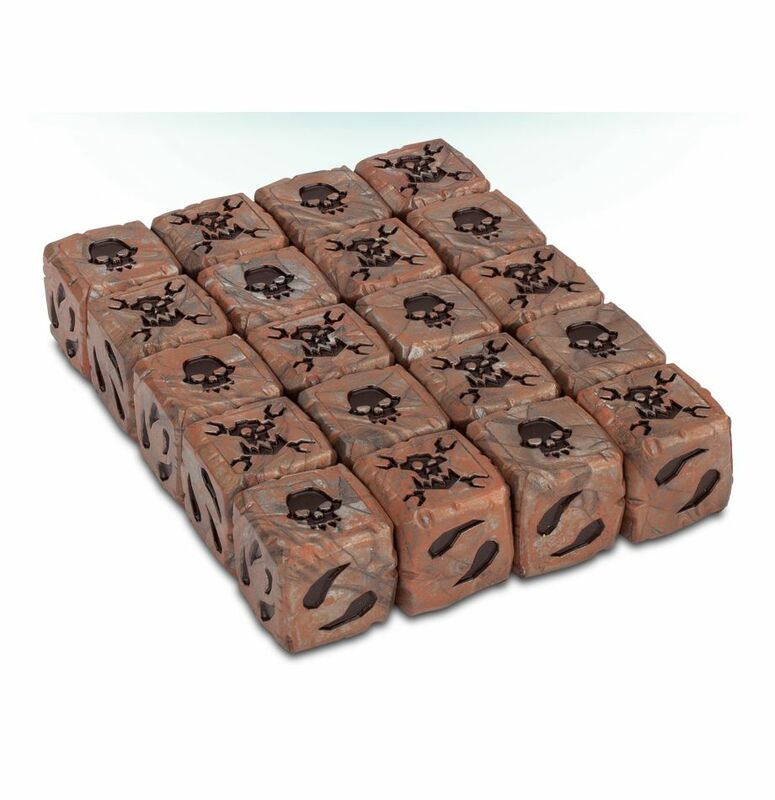 This is a set of 20 6-sided 16mm dice, which are rust-coloured to represent the crude nature of the Orks. 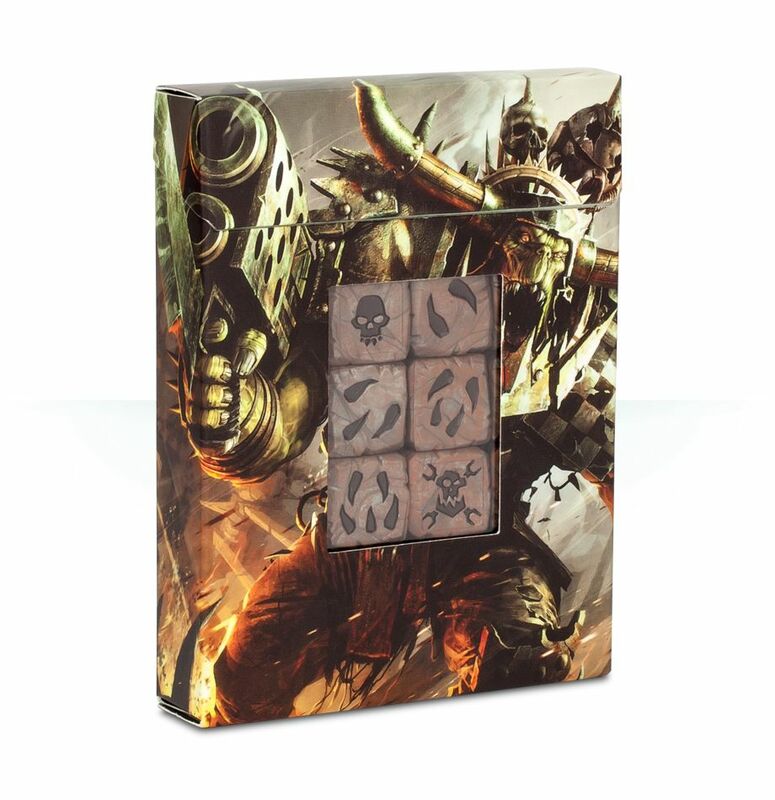 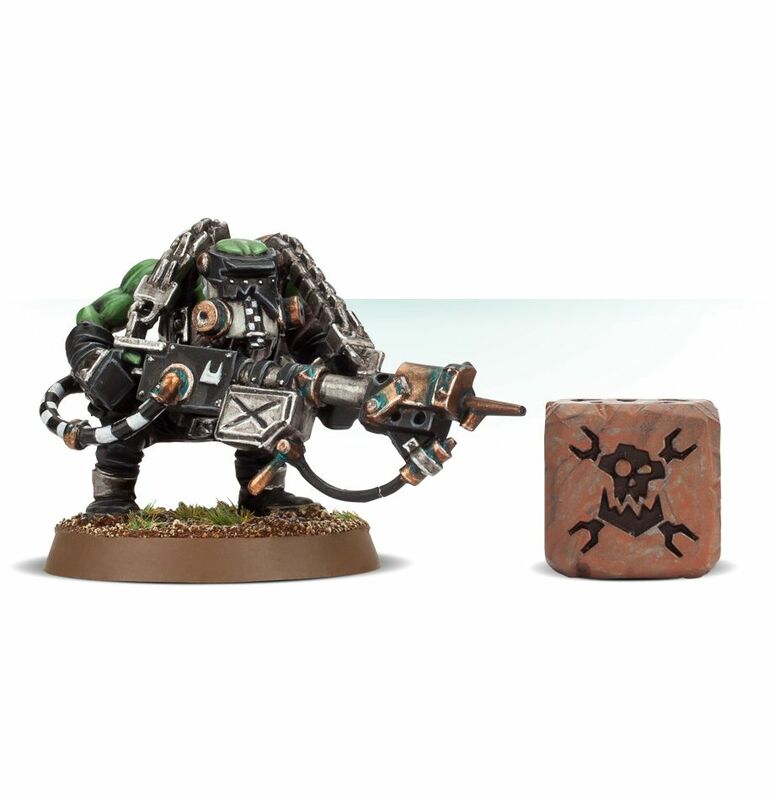 Designed with square edges – which are chipped and dinged in an appropriately Ork-like manner – with the pips perfectly flush with the surfaces, each features an Ork skull in place of the 1 and an Ork glyph in the place of the 6. 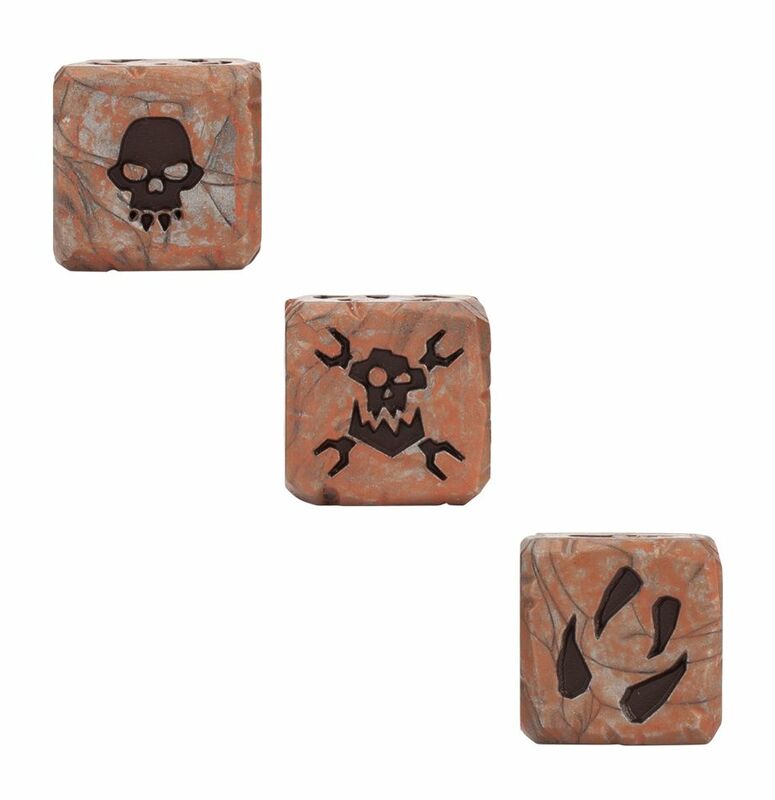 All of the markings on the dice are black, contrasting nicely with the rusty colour.